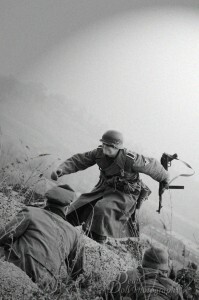 Since its conception in 2009, Army Group South has always strived to create WW2 airsoft games that are as authentic and immersive as possible. 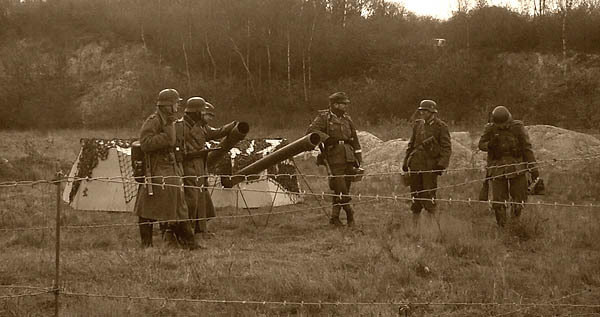 As players, we had attended events by Comrades in Arms, Gunman and PBI, who all demonstrated that it was perfectly possible to run entertaining, realistic games that didn’t require you to pretend that an old milk crate represented the fortress at Eben Emael. These early, groundbreaking games inspired us to push the envelope even further by spending time and budget on prop construction, in-game pyro, simplified rule sets and multi layered objectives for players. Our aim was to move as far away from open-day style gaming as it was possible to get. 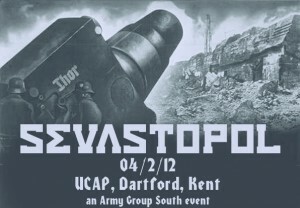 We were especially pleased with ourselves when it looked like we were going to run the first ever Stalingrad event in the UK. 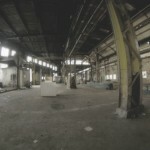 Stalingrad has always been the holy grail of WW2 airsoft and in August 2011 we obtained permission to use Papermill, a fantastic semi derelict factory that was being leased by Xsite Aisoft but had yet to be played by anyone due to ongoing legal issues. 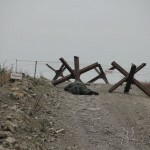 AGS secured use, planned and announced “Battle for Barrikady”, scheduled for February 2012. Unfortunately there also seems to be a curse on Stalingrad events. Numerous organisers have tried to do this scenario in various locations and have all failed for one reason or another. A month after announcing the game, AGS also fell victim to the curse. 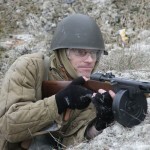 Just as Xsite were about to go live, the site owners went into bankruptcy and the receivers had little interest in letting anyone play soldiers at the Papermill. On 6th October, permission to use the site for airsoft was withdrawn and we were back to square one. 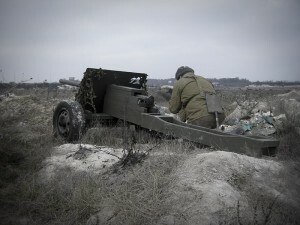 The idea to run an eastern front event around the Sevastopol battles of 1942 was born partly though desperation and partly through inspiration. 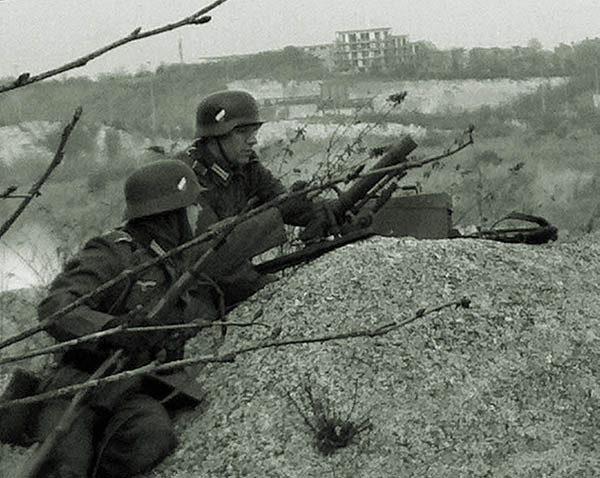 We were concerned that people may have already made preparations for Stalingrad and wanted to make sure that our replacement game was on the same date and included a scenario where they could still use any kit they had bought. We also wanted a site that was interesting enough to make a potentially long journey worthwhile, as many of our players have to travel from the north of England. AGS organisers Ian and Jimbo had both recently played a new UCAP site in Kent called The Sandpit, a huge disused chalk quarry that had a variety of great airsofting terrain, including buildings, roads and a big lake. 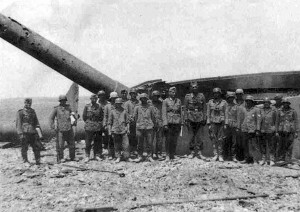 A half-day site visit and a long chat with Andy from UCAP about access and accommodation convinced us that this site was perfect for a Sevastopol event and three days later we had a fully formed plan B: The event would pitch Germans against Soviets around the Maxim Gorky II gun battery and would make use of about a third of the Sandpit playing area. As we researched period pictures of the battle it seemed as if we’d maybe bitten off more than we could chew. 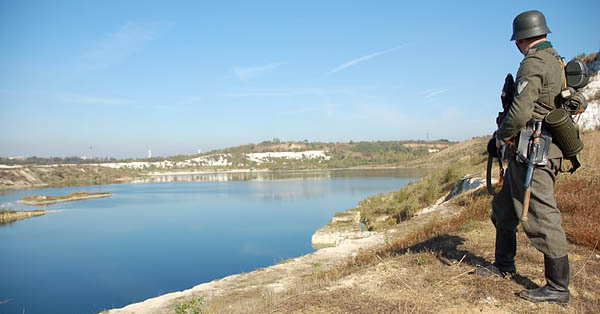 The lake and quarry may look like the Crimea, but in 1942 the real Sevastopol naval base had impressively strong defences and no amount of old milk crates would do the job of replicating those. Instead we decided to make our primary location one of the many outlying strongpoints that circled the port and the main battery. Fortunately the group had already amassed a fair amount of set dressing in the form of plastic barbed wire, pyro mines and tank hedgehogs. Sandy and Neil had both constructed impressively realistic mortars that fired TLSFx charges, whilst Josh from Gunman kindly agreed to loan us his two artillery pieces, a crateload of Soviet uniforms and helmets and a video projector for our pre-event social. All we were missing was a massive fortress gun turret with 12 inch barrels. Neil and Ian put their engineer brains to work and came up with a plan that they assured us was “do-able”, The turret would be made of hardboard on a timber frame and the gun barrels would be two 15 foot lengths taken from the piles of industrial grade plastic piping that had been left behind when the quarry company moved out. The whole thing would be covered in camouflage netting. The plans looked good, but whether even the talented Boshier brothers could actually make it was another matter. The upside of having a long lead time for an event is that it gives plenty of opportunity for preparation, drumming up interest and generally getting people excited. The downside is that real life has a habit of getting in the way. As the 4th February drew nearer, it became a more and more inconvenient date for many of the organisers as work contracts, house moves and all manner of personal shizzle began to take priority over a weekend of running around with toy guns. In our favour, we had a good number of paid-up players, a chatter of excitement on the forum and a gun turret that was becoming a thing of beauty. Our stock of props was also increasing. We now had two replica WW2 BMW sidecar combos to use in-game and Gordon from the WW2 airsoft forum had once again volunteered to make us some period signage as well as a boxful of wonderfully realistic TNT charges for the German engineers. Fate threw its last curve ball a few days before game day, with severe weather warnings promising snow and sub-zero temperatures. Our players are a resourceful lot, but the limited appeal of driving hundreds of miles to freeze their nuts off for up to 36 hours was probably causing a fair few to think twice about coming at all. Josh was also half dead with the ‘flu, but still managed to drive all the way to Dartford just to deliver us his promised guns and gear before driving all the way home again. 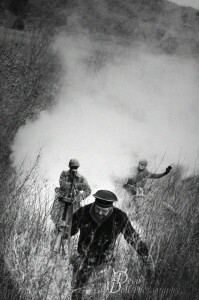 By game day we had only lost four people out of 60 and at 9am on Saturday 6th February I found myself flanked by two menacing NKVD officers and giving a briefing to four rows of impressively kitted Russians and Germans, all of whom were up for action and raring to go. The tales from the game itself are contained in the forum posts of the players who attended. Punishing assaults, desperate defensive actions, artillery, mortars, mines, barbed wire entanglements and a great big gun turret that went BOOM. By about 5pm we were all pretty much done in, players and organisers alike. The bitter cold had taken its toll on both our equipment and our enthusiasm, and reports of heavy snowfall in the north meant that almost every player took a decision to pack up and head home instead of staying to enjoy a well deserved beer or four. Despite the harsh conditions, all of the post-event feedback was positive. AGS is strictly non profit and all our events are run at cost – actually most end up costing us, but putting on a game that we enjoy running and others enjoy playing makes it all worthwhile. Who knows, one day we may even break the curse of Stalingrad.